Looking for fresh new floorplan designs and thoughtful architecture in a robust master planned community? TRI Pointe Homes has what you’ve been looking for! 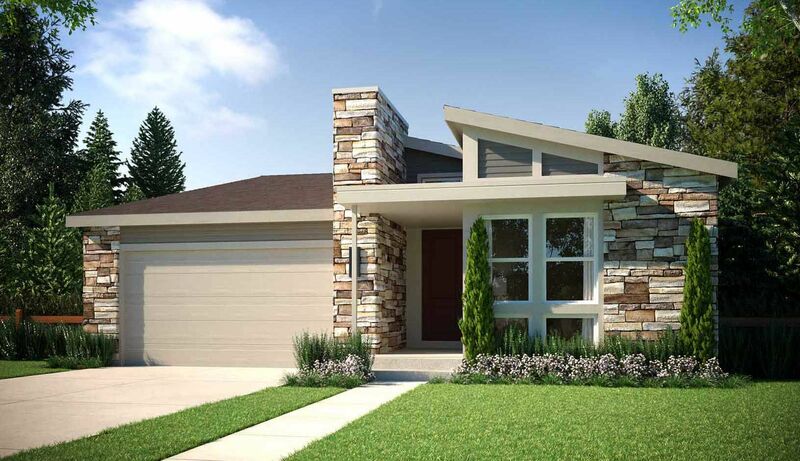 Welcome to the Ensemble Collection in the vibrant neighborhood of Canyonview at Candelas. Surrounded by miles of trails, pristine community parks, and the majestic Rocky Mountains, Candelas hosts a variety activities for active families, outdoor lovers and adventure seekers. Relax pool side at one of two resort-style swim clubs or pick up the pace at the fitness club. Candelas is a place you can call home. The Ensemble Collection of single-family detached homes is nestled perfectly in the sweeping valley of Canyonview and features two ranch and four two-story home designs. The spacious floor plans range from approximately 2,173 sq.ft to 2,921 sq. ft. with 2 to 5 bedrooms, up to 5 ½ baths, and numerous room options. Here you’ll find a host of features including studies, project rooms, lofts and 3-bay tandem garages. Choose from additional bedroom options, optional finished basements, wet bars, theater rooms, luxurious spa baths or stunning kitchen appliances fit for a chef. This collection is sure to not disappoint!